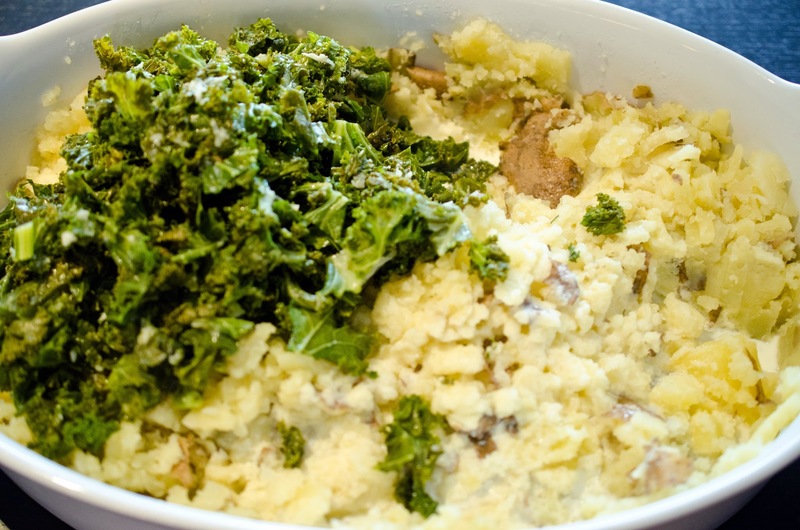 Colcannon is a traditional potato dish. In Ireland potatoes are as plentiful as recipes to use them. 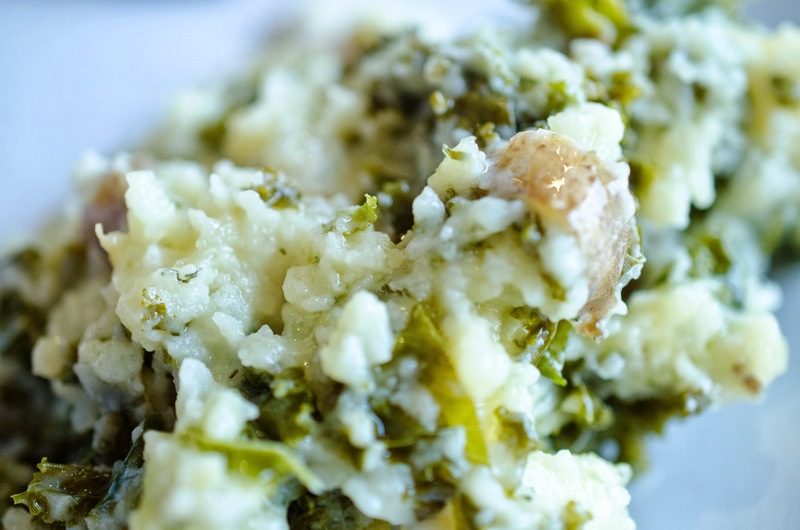 This is a wonderful mashed potato recipe that is traditionally made with kale and of course butter. To be authentic, I used Irish Butter as well. If I had thought about it, I could have looked for some thick European style cream. Irish butter is made from milk that is milked from pastured cows in the Summer. Ireland has beautiful pastures of green grass for their cows, so why wouldn't the milk these cows produce taste amazing? I ask you truthfully, our cows here in the USA don't always get grass, some get corn instead. Anyway off my soap box. Truthfully, for everyday we eat Cabot butter or Costco butter. Today is special. As an Irish family I wanted us to remain as true to an authentic Irish meal as possible. The green and white are beautiful together in this Irish dish, and delicious. Wash and scrub potatoes clean. Pour 1 inch of water into pressure cooker pan and place rack in water. Pierce potatoes with a knife twice. Place potatoes in pressure cooker pan and set in pressure cooker. Set pressure cooker to high for 10 minutes. 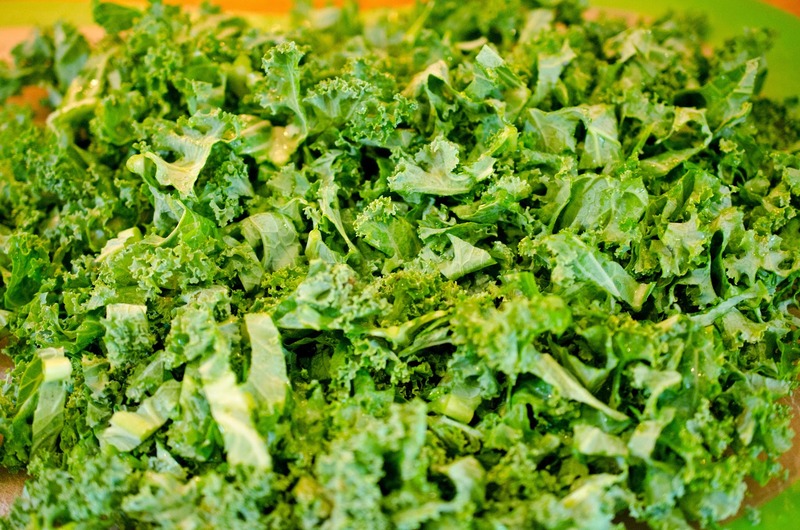 Wash and cut kale into small 1/2 inch pieces. Preheat 10 inch skillet over medium flame. Add 1 tablespoon vegetable oil, and one tablespoon butter to pan. Press garlic into pan, and add kale. 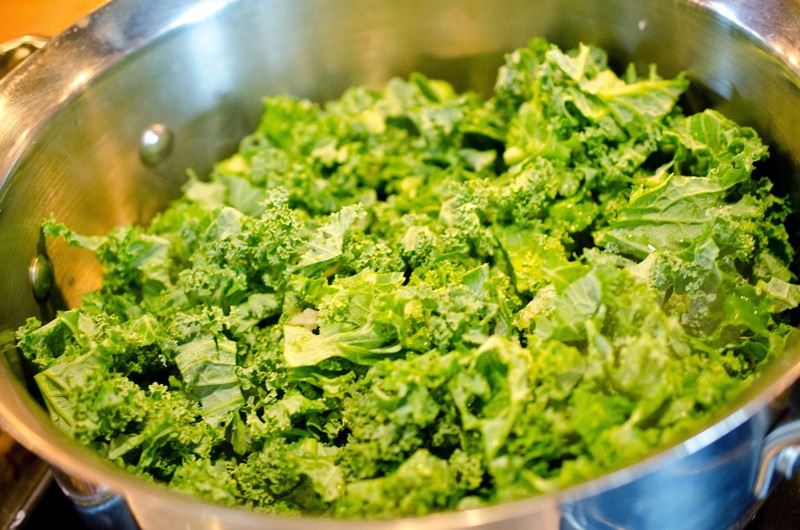 Saute kale just until bright green. When potatoes are done cooking add them to a large oven safe dish and mash with potato masher. 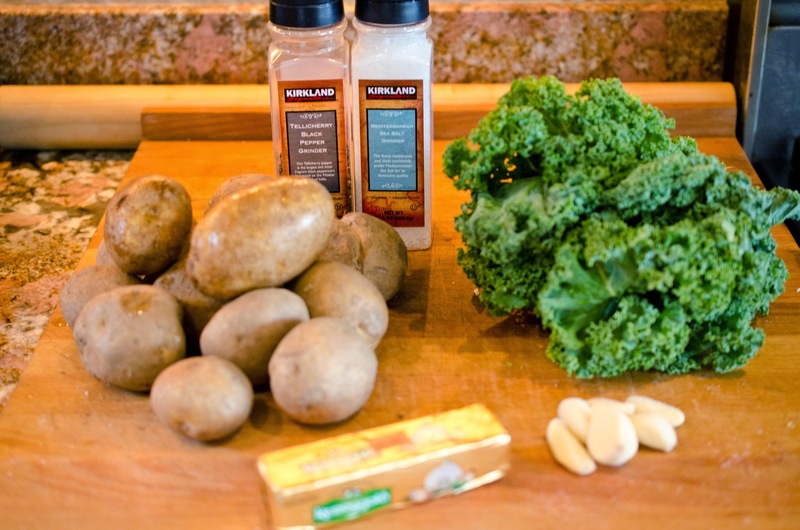 Add cream, 1/2 cup butter, and kale to potatoes and stir. Sprinkle salt and pepper, as much as you prefer. Serve with a well lengthwise down the center filled with the remaining 1/2 cup butter divided and spanning the dish.